During the ski season, the resort of Les Marécottes in the Val de Trient is equipped with a sledge run linking the hamlet of Creusaz to the ski resort of Les Marécottes, which is part of the municipality of Salvan. 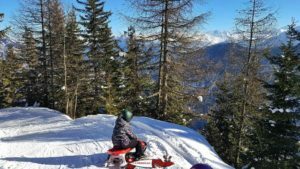 The winter sledge run in Les Marécottes with a view of the Alps. 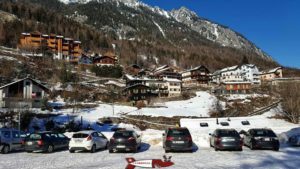 Free parking spaces next to the Mont-Blanc Express train station in Les Marécottes. Transfer by bus to the gongola free of charge. 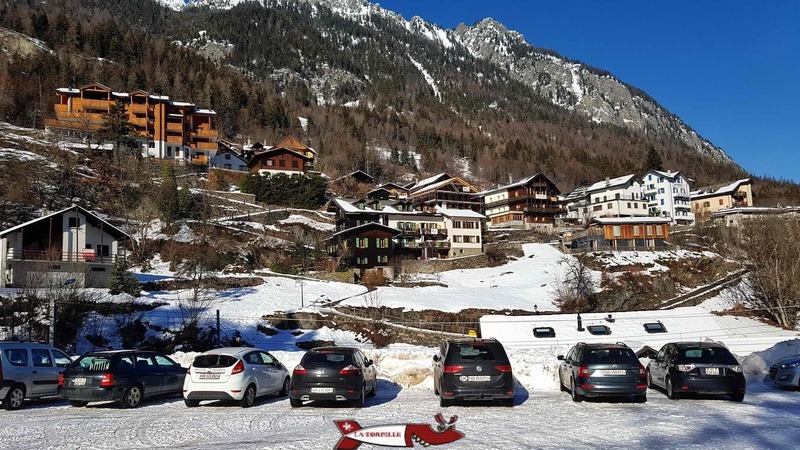 The car park next to the station and the view of the village of Les Marécottes. Adult: 20-64 years old, senior: 64-76 years old, youth: 16-19 years old, child: 6-15 years old. Under 6 and over 76 years old: free of charge. 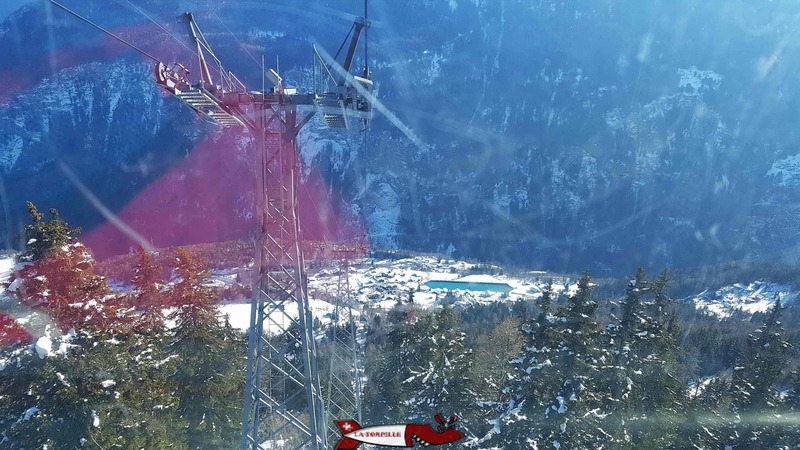 The ascent by gondola takes about ten minutes and allows you to discover the village of Les Marécottes with its accumulation basin which is used in the hydroelectric infrastructure of the Emosson dam. The arrival station is located in the hamlet of Creusaz. The departure station of the gondola and the view of Les Marécottes from the latter. 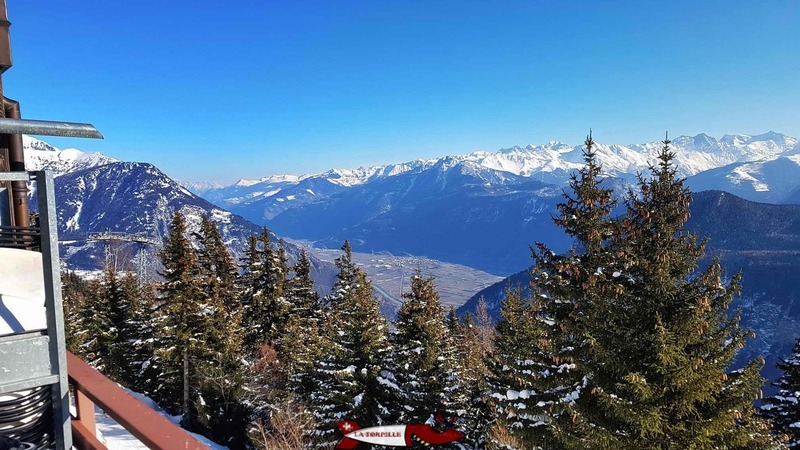 La Creusaz is a hamlet of about thirty chalets located at the top of the gondola at an altitude of almost 1800 metres. A restaurant with its terrace offers a magnificent view. 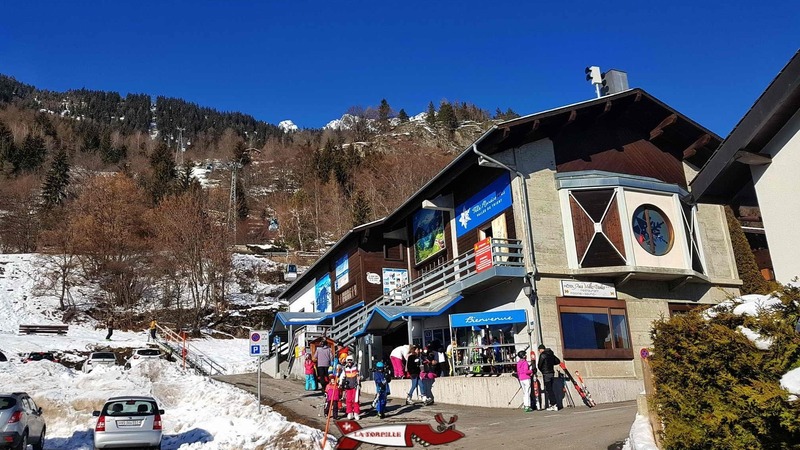 The start of the sled run is located at this restaurant. 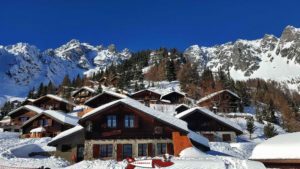 The hamlet of La Creusaz and the restaurant. 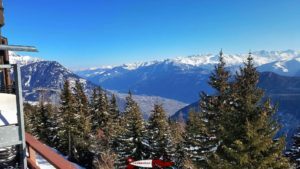 From the hamlet of La Creusaz and especially from the terrace of the restaurant you can enjoy a magnificent view from the South to the East. 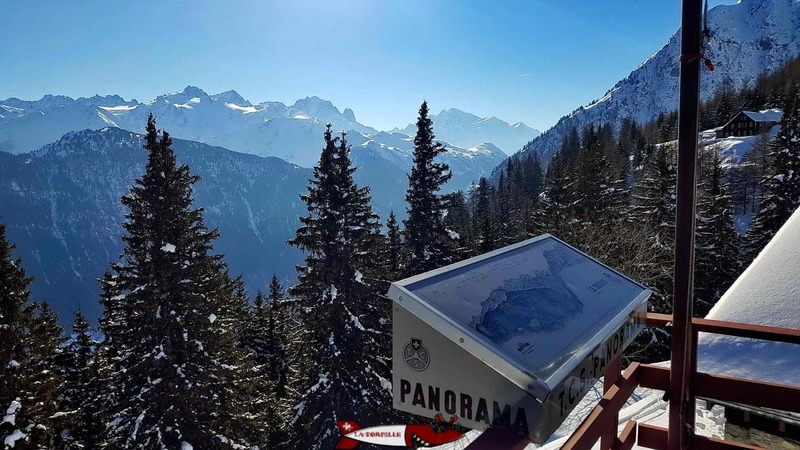 Thanks to the orientation table, you can observe the French Alps with Mont-Blanc facing south, the Valaisan Alps and the Rhône plain where the river bends at Fully. 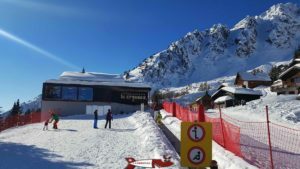 The winter sledge run at Les Marécottes can be divided into three parts as described below. 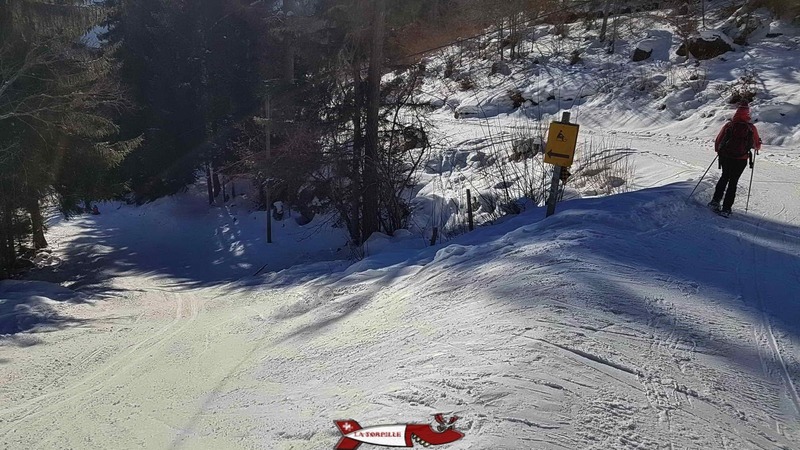 It is shared with skiers along its entire length. 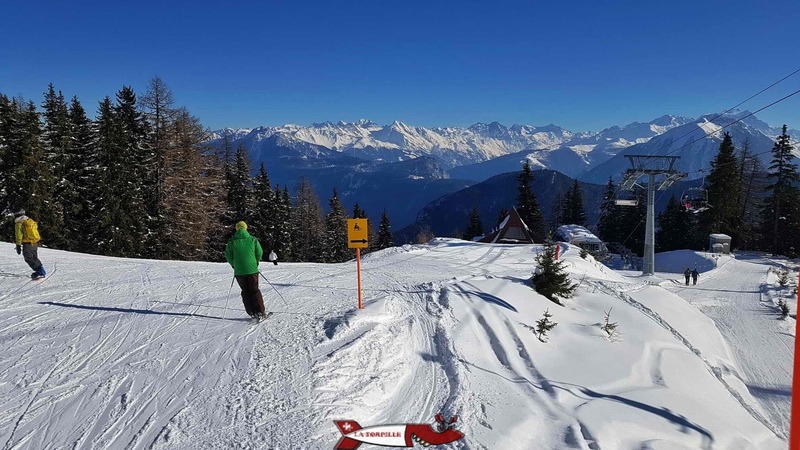 The first part of the track starts from the Creusaz restaurant and follows a path with a slight gradient before entering the forest. 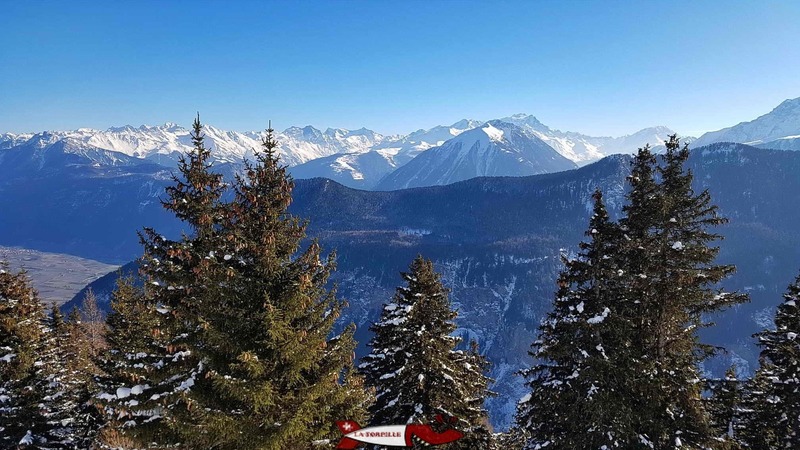 In this part we enjoy the beautiful view of the Alps. The start of the sledge run. A skier on the path shared with the luge riders. 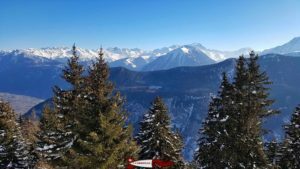 The Marécottes ski resort includes 4 lifts for 28 kilometres of slopes. The second part includes most of the route and follows a snow-covered road through the forest with an ideal gradient for sledging. 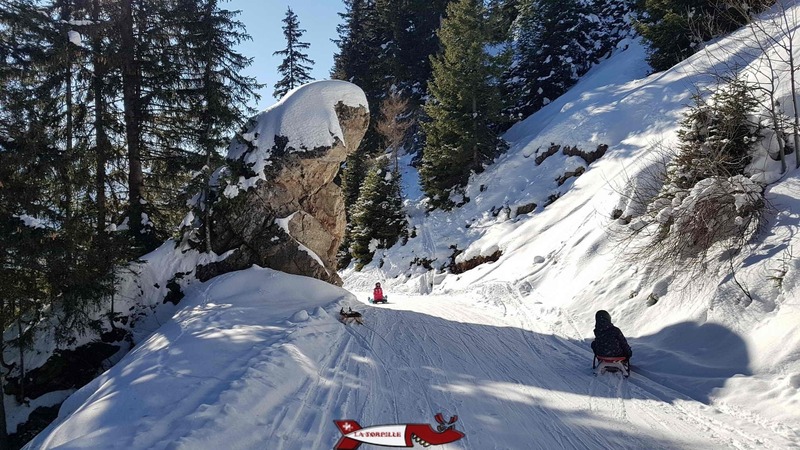 Sledders in a beautiful landscape in the forest. 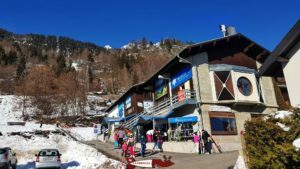 The third part begins when the sledger leaves the snow-covered road to follow a narrow zig-zag path with sometimes steep slopes to reach the departure of the gondola lift at Les Marécottes. ⚠️ CAUTION. 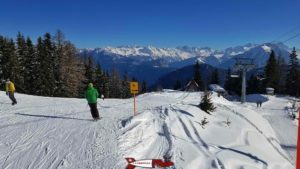 This last part is particularly dangerous because it is often icy due to skiers slipping in a narrow corridor. 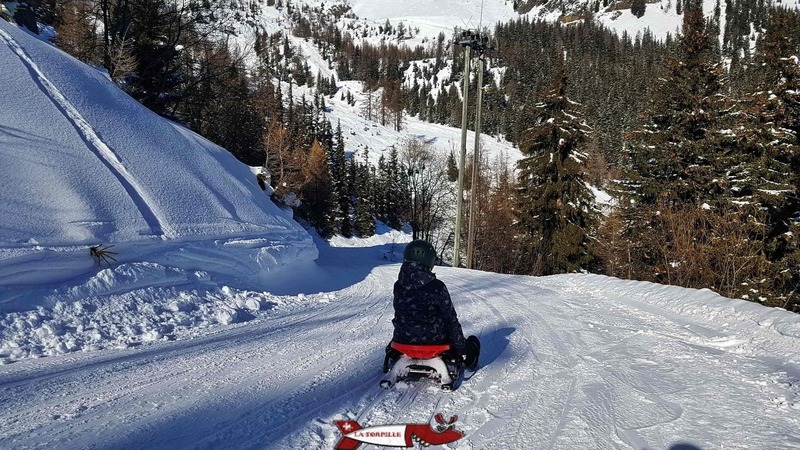 The sledder will therefore quickly reach high speed, especially with sleds with wide skids and with curves more than at right angles, the risk of accidents is high. There is no indication or protection to warn of this. Once the third part starts, the track leaves the snow-covered road.